Achieving "perfect" skin at any age is a lifelong goal, but flawless skin for mature women is a greater concern than, say, for someone in her late teens or early 20s. Although the desire to attain clear skin starts early in life, the unique needs of aging skin give women a variety of other concerns to focus on. While we can't fight aging and its overall impact on the body, we can practice habits that support a healthier aging process. For example, smoking is largely to blame for wrinkles because it impairs the blood flow to the skin, depriving it of necessary nutrients and oxygen. The production of collagen and elastin are also impaired due to smoking, resulting in premature sagging and wrinkling. Obviously, it's essential not to smoke for a number of reasons. The amount of time spent in the sun during one's lifetime also takes its toll on aging skin. Excessive exposure to ultraviolet (UV) rays damages elastin, which results in sagging, stretching and the inability for skin to "bounce back" to shape. Sun damage is a major culprit in the appearance of aging skin. Whether you're wondering how to reverse the signs of poor habits you may have spent decades practicing or you're just trying to make sure you don't make any mistakes as you grow older, you must understand the importance of living a lifestyle conducive to great skin. It is one thing to slather on some sunscreen prior to stepping outside during the summer, but it's quite another to really take the time to live well and subscribe to habits that genuinely result in a lifetime of strong, healthy and attractive skin. Keep in mind that "flawless" can be a relative term in the skincare world. Flawlessness may best be defined by society's image of a supermodel on a magazine cover. Of course, flawless by those standards equals unattainable perfection. Genuine flawlessness, however, radiates from within and results in skin that is naturally fresh and healthy. This type of skin is not immune to the occasional blemish. It may be naturally oily or dry. And it will, under no uncertain terms, more likely than not fall victim to that dreaded first wrinkle at some point in time. Despite having all of these so-called "flaws," the skin can still be considered flawless. That's because aging is inevitable. Accept the unavoidable changes that occur and you'll be much more comfortable in your own skin! In the meantime, work to avoid the premature signs of aging we've discussed and treat yourself to a skincare regimen that is most appropriate for your skin type. A tan may look great and the sun may feel incredible as it beats down on your bare skin, but don't think for a minute that it's doing you any long term favors. According to the Skin Cancer Foundation, the sun is responsible for up to 90 percent of the visible changes associated with aging. Protect yourself by applying a broad-spectrum sunscreen at least half an hour before stepping outside. Wear a wide-brimmed hat and consider investing in clothing made from sun protective fabric. A great place to start is Sun Grubbies. Serums and moisturizers rich in free radical-fighting antioxidants can help regenerate aging skin by hydrating dry areas and rebuilding collagen. The skin's defense mechanisms are strengthened by products packed with essential vitamins and minerals. Look for ingredients like vitamin A (or retinol), green tea extract and omega fatty acids, which help replenish moisture and stimulates cell renewal (which slows as we age). It's not enough to just apply those antioxidant-rich products to your face! You also need to consume them internally. Eating and drinking the right foods and beverages makes an enormous difference. Fresh water fish, fruits and vegetables (especially Acai, onions, leeks, garlic and other allium vegetables), nuts and seeds, yogurt, beans, lentils and whole grains are considered stellar components of a healthy, skin-friendly diet. Water is also essential for its hydrating properties. At the end of the day, it's about how you've lived and whether you've made the right choices. Though genetics are an unavoidable factor when it comes to aging skin, it's not impossible to stave off certain aspects of the aging process simply by living a healthy lifestyle. Indulge in a nutritious diet, get enough sleep, drink water, stay out of the sun, apply sunscreen religiously and avoid cigarettes. 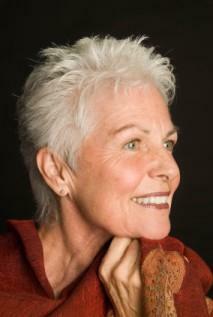 Achieving flawless skin for mature women is as simple as that!